Some organizations spruce up their waiting rooms during the holiday season. Halloween is an under appreciated holiday in that regard. 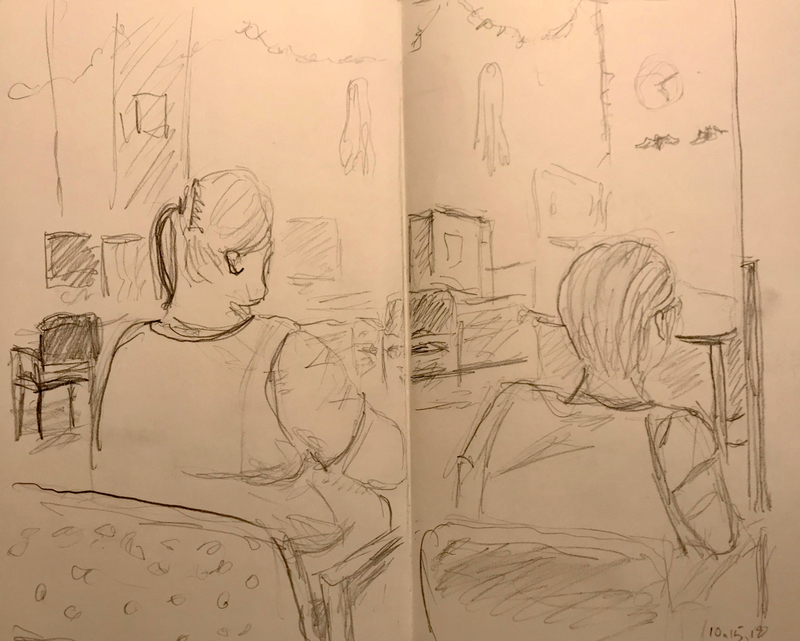 This entry was posted in Personal Stories and tagged art, artistic process, creativity, decorations, drawing, Halloween, pencil sketch, portraiture, sketching, Waiting Room. Bookmark the permalink.